Inner textures of the fabrics differ according to the qualification of the material. 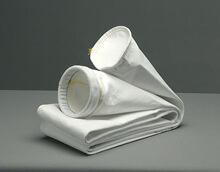 In the polyester filter bags polyester staple based inner textures are used for the operations required normal resistance and polyester multiflament based inner texture is used for the operations required high resistance.The inner texture of the other fabrics like Polypropylene, Dolanit, Copolymer Acrylic is Acrylic. Also the inner texture of Ryton, Polyimide (P-84), Teflon (PTFE) is teflon. 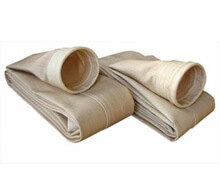 The inner texture of %100 Nomex (Meta-Aramid) is manufactured from their own material.Because fiberglass products have fragile feature,they are produced as woven instead of non-woven and for this reason they have not inner texture. 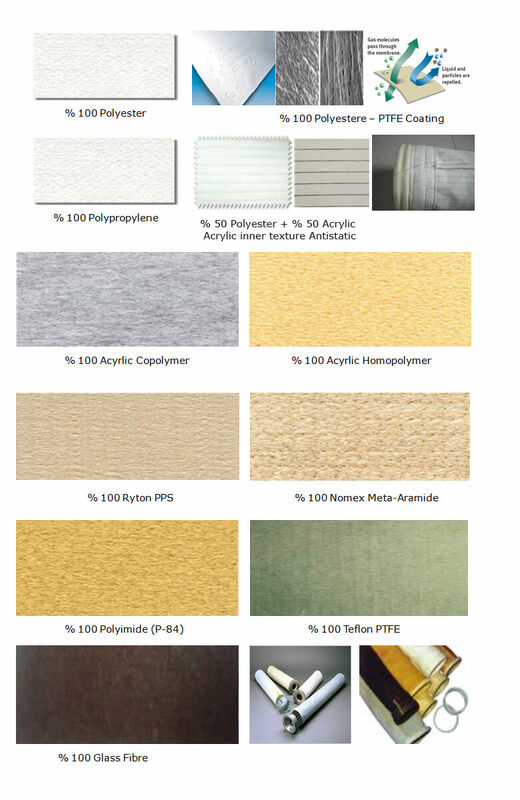 All our products are having the treatments of singeing and calendering .If required teflon hydrophob impregnation is applied to give the feature of water and oil repellent.The dust holding surface can be covered with e-PTFE membrane to ease the shaking and delay decreasing the air permeability by preventing dust from penetrating through the felt pores. . The sewing thread made of the same material with the inner texture of the bag fabric is used in the operations of sewing filter bags.The longitudinally sewing of the bags is done with special sewing technique of chain type by using high strength sewing thread with doubled three rows and the same sewing method is applied for sewing the base cover part. Otherwise the bags working in the system selected properly for the system might be torn because of unwrapping in the base cover or longitudinally.Therefore this causes the bags used in the system to have short life. AIR PERMEABILITY (ISO 1043-1) lt /dm²/hour. Dp:200 Pa.
* These equipments can be selected according to the special needs as well as the technical specifications of their producer.